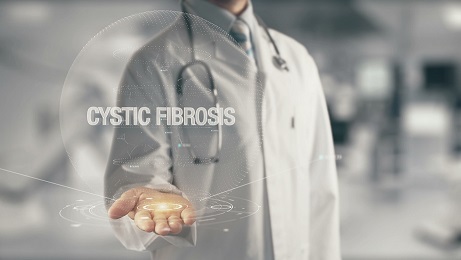 Cystic fibrosis (CF) is a disease which affects epithelial cells which are found in the lungs and the digestive system. If a problem occurs in these cells, the balance of salt and water in the body gets disturbed. This leads to the formation of abnormally thick mucus, and this mucus can clog up the lungs which cause breathing problem in kids with CF. Similar mucus can impact the digestive system and block the body from getting the essential nutrients like fats and vitamins from food. If the kids with CF eat well and take medicines, they can remain healthy. Kids with CF should eat more compared to most other kids. Hence, the kids with CF and their parents work with a dietician to plan their diet. Why kids with cystic fibrosis need extra care? Kids with CF should eat minimum three meals a day along with snacks in between to get enough calories they need. Kids with CF require more calories to grow, gaining weight and energy for playing as they face difficulties in absorbing fat and nutrients in food. Sometimes kids with CF cannot absorb important nutrients from food and the food directly goes to the person’s bowel movements and thus may require supplementation. Iron: Iron is an important element which carries oxygen to all the body’s cells. Iron is available in cereals, meats, dried fruits and dark green vegetables. Zinc: It is crucial for growth, healing and staying healthy. Zinc is available in meats, liver, eggs and seafood. Calcium: It is beneficial for building strong bones. Calcium is available in milk, yogurt, cheese and calcium-fortified juices. Salt: Kids with CF lose salt through sweat during hot climate or physical activity. Hence it is important to substitute the salt by adding it into the food and eating salty snack items.